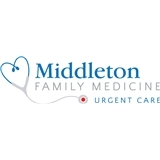 Middleton Family Medicine (Middleton) - Book Appointment Online! I originally had scheduled a physical with Dr. Mann because I was looking for a new PCP, but coincidentally I got sick between the time I booked it and the day of. I called the office to change it to a sick visit and had no problems. The staff were all extremely friendly and professional, both on the phone and in person. I arrived very early to my appointment and still didn't have to wait long. Dr. Mann and the nurse were both great. They listened well and were very thorough. I think I found a great new primary care physician! The doctor was great. Very nice explained everything great. Please to have him as my primary. I thought dr t was great. Very personable & knowledgeable. Made me feel comfortable!